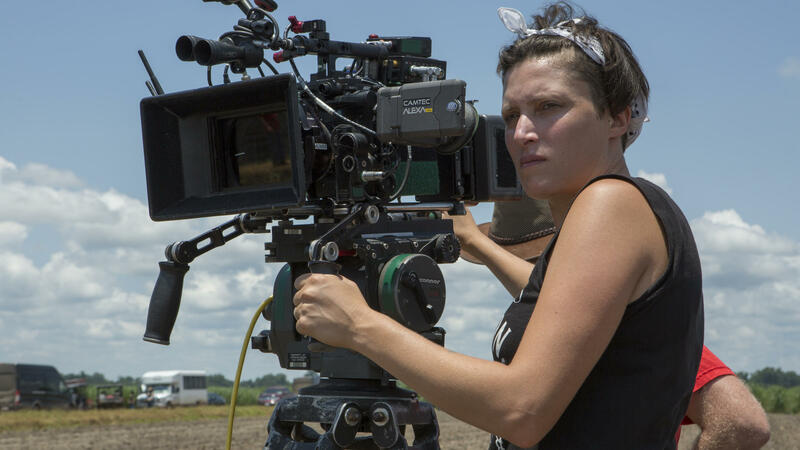 Rachel Morrison, seen here on set for Mudbound, had her big breakthrough with Fruitvale Station in 2013. Rachel Morrison on set for Mudbound. "The cinematographer's basically translating the director's vision into imagery," Morrison says. She leads the way down a set of outside stairs to her basement office at her home in the Mount Washington neighborhood of Los Angeles. "It's such a mess down here." It's not that messy — merely crammed with art books, Black Panther comics and the DVDs she draws upon for reference and inspiration. "A lot of the classics," Morrison says. "Godfather. Raging Bull. City Of God. [The] City Of Lost Children. Dekalog. I mean, Kieślowski was such a genius." But the movie that changed Morrison's life was a foreign film she saw as a teenager in Cambridge, Mass. 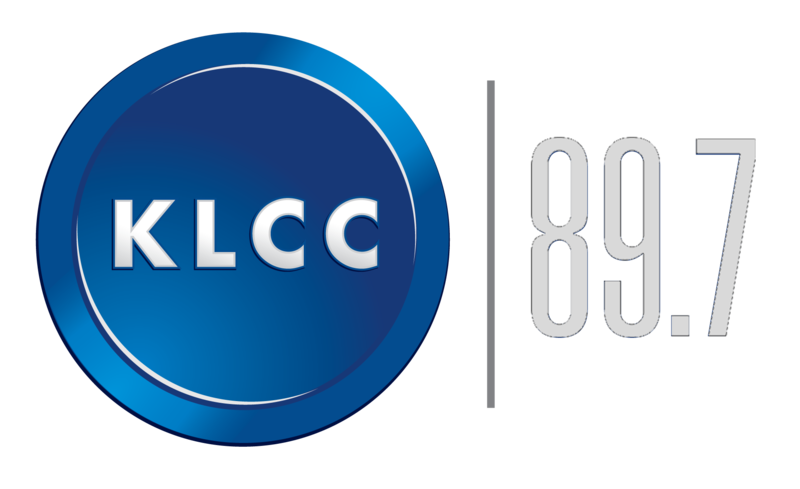 "The film for me was this sort of obscure, French-Canadian film called Leolo," Morrison says. "It was playing in the Harvard Square Theater, and I think I had probably gone to see something else, and it was sold out. And I was like, 'Oh, I'll check out this film instead,' and it just blew my mind." At the time, Morrison was transfixed by lush, surreal stories such as Leolo and the magical realism of writers like Gabriel García Márquez and Salman Rushdie. "Which, interestingly, is not at all the direction I've gone with my cinematography," she says. Morrison's big breakthrough was with Fruitvale Station, an acclaimed 2013 movie that looks almost like a documentary. It was based on the real-life killing of a young black man by a transit police officer in Oakland, Calif. The film was also the breakout for director Ryan Coogler, who collaborated most recently with Morrison on Black Panther. When Coogler made his "Rocky" movie, Creed, a few years ago, he asked Morrison to be director of photography. But the timing was off: Morrison had just gotten pregnant. "I could totally shoot pregnant," she says. But she could not disrupt a shooting schedule by giving birth in the middle of making a film. Being both a mom and a director of photography is not exactly a Hollywood norm. "I looked for a model before having my son," she says. "I sort of wanted to reassure my wife it could be done, and I quite frankly couldn't find one. Like, most of the [directors of photography] I talked to were men, and most of them were on their third marriages and had kids from different wives, and kids that weren't talking to them, and kids whose graduations they'd missed. There was some amount of remorse, and others saying, 'Don't make the mistakes I did,' and others who sort of said, 'That's just the nature of the business.'" "And for me," she says quietly, "that's not OK."
Morrison is 39, but she looks younger, and she's used to being mistaken for a hair and makeup artist or as part of the catering crew. On Black Panther, where she was director of photography, Morrison once hopped in a van with the first assistant director — also a woman — to get to set. But the driver refused to budge. "We were like, 'Hey, we gotta go,'" she says. "And he was like, 'I'm sorry, I'm waiting for the DP and the first AD.' And we were like, 'We are the DP and first AD!' And that happens more times than I can count." On the set of Mudbound, Morrison was part of an intentionally female-led crew. The Netflix film follows the fortunes of a black family and a white one, hardscrabble farmers in the rural South. Director Dee Rees remembers how Morrison positioned the camera during an especially tense scene. A young female sharecropper appears at the farm, brandishing a knife while two little girls play in the yard nearby. Murder is on her mind. "Everything is angled to feel dangerous, in a way," Rees says. "Everything's geared for maximum tension. The knife is in the frame while the two girls are in the frame. So it's like the casualness of violence in the world, the everyday nearness of death, the everyday nearness of harm." Rees says she loved Morrison's understated, elegant eye. So did one of the giants of cinematography. Before he died in 2015, Haskell Wexler (Who's Afraid Of Virginia Woolf?, One Flew Over The Cuckoo's Nest) saw Fruitvale Station and invited Morrison over for lunch. "He actually said that what we did in Fruitvale was everything he aspired to do his entire career," Morrison says. She's proud, yet slightly abashed. "And it makes perfect sense. He made documentaries and he made narratives, but this was a film that really kind of blended both. So it was probably the most meaningful compliment I will ever get." For a second, Morrison's eyes filled with tears, and then she laughed. "He also made me hold his Oscar and said, 'You're gonna get one of these one day,' which I thought was crazy at the time," she says. Maybe her historic nomination is connected to Wexler's legacy, she ventures. And then, part of it is more complicated. "Now the trick for me is, I don't want to win for the wrong reason," she says. "Like, I don't want to win because I'm female. I'm kind of rooting for Deakins myself." Roger Deakins was cinematographer of the new Blade Runner movie. He's been nominated 14 times and never won. Like Deakins, Rachel Morrison expects to be recognized for the quality of her work. And she expects to be nominated again. The Academy Awards are on Sunday, and among this year's historic firsts - the first woman ever nominated for an Oscar for cinematography. RACHEL MORRISON: I can't believe I am the first. It's really kind of crazy. MORRISON: The cinematographer is basically translating the director's vision into imagery. CHANG: That means being in charge of all the cameras and camera operators. NPR's Neda Ulaby visited cinematographer Rachel Morrison at her home in Los Angeles. MORRISON: It's such a mess down here - sorry. NEDA ULABY, BYLINE: Rachel Morrison makes her way into her basement lair. It's really not that messy, just an office crammed with art books, "Black Panther" comics and the DVDs she draws upon for reference and inspiration. MORRISON: A lot of the classics - "Godfather," "Raging Bull," "City Of God," "City Of Lost Children" - "The Dekalog" - I mean, Kieslowski was such a genius. ULABY: The movie that changed Morrison's life, though, was a foreign film she saw as a teenager in Cambridge, Mass. UNIDENTIFIED ACTOR: (As character) Leolo. MORRISON: The film for me was this sort of obscure French-Canadian film called "Leolo." I think I had probably gone to see something else, and it was sold out, and I was like, oh, well, I'll check out this film instead. And it just blew my mind. ULABY: At the time, Morrison was transfixed by lush, surreal stories and the magical realism of writers like Gabriel Garcia Marquez and Salman Rushdie. MORRISON: Which interestingly is not at all the direction that I've gone with my cinematography. ULABY: Morrison's breakthrough was the acclaimed movie "Fruitvale Station" from 2013. It looks like a documentary. It's based on the real-life murder of a young black man by transit cops in Oakland, Calif.
ULABY: That movie was also the breakout for director Ryan Coogler. They collaborated most recently again on "Black Panther." When Coogler made his "Rocky" movie, "Creed," a few years ago, he asked Morrison to be director of photography. But the timing was seriously off. Morrison was getting ready to be a mom. MORRISON: I could totally shoot pregnant. ULABY: But she could not disrupt a shooting schedule by giving birth in the middle of making a film. Being both a mom and a director of photography is not exactly a Hollywood norm. MORRISON: I looked for a model before having my son. I sort of wanted to reassure my wife that it could be done, and I, quite frankly, couldn't find one. Like, most of the DP's I talked to were men, and most of them were on their third marriages and had kids from different wives and kids that weren't talking to them and, you know, kids whose graduations they'd missed. And there was some amount of remorse and sort of saying don't make the mistakes I made and then others who sort of said, well, that's just the nature of the business. And for me, that's not - it's not OK.
ULABY: The nature of this business means that Morrison is regularly mistaken for a hair and makeup artist or as part of the catering crew. On "Black Panther," where she was director of photography, Morrison once hopped in a van with the first assistant director, also a woman, to get to set. MORRISON: And the driver wasn't leaving. And we're like, hey, we got to go, and he was like, I'm sorry, I'm waiting for the DP and the first AD. And we're like, we are the DP and the first AD. Like, that happens more times than I can count. ULABY: On the set of "Mudbound," though, Morrison was part of an intentionally largely female crew. CAREY MULLIGAN: (As Laura McAllan) When I think of the farm, I think of mud. ULABY: "Mudbound" follows the fortunes of a black family and a white one farming in the rural South. MULLIGAN: (As Laura McAllan) I dreamed in brown. ULABY: When director Dee Rees was asked to describe a standout cinematic moment in "Mudbound," she remembered how Morrison angled the camera during an especially tense scene. A young female sharecropper appears at the farmhouse, murder on her mind. DEE REES: Everything is angled to feel dangerous in a way. MULLIGAN: (As Laura McAllan) Vera. ULABY: The woman's brandishing a knife. Two little girls play in the yard nearby. REES: Everything is geared for maximum tension. Like, the knife is in the frame while the two girls are in the frame. So it's like the casualness of violence in this world, like, the everyday nearness of death, the everyday nearness of harm. ULABY: Director Dee Rees says she loved Morrison's understated, elegant eye - so did one of the giants of cinematography. Before Haskell Wexler died in 2015, he saw "Fruitvale Station" and invited its young cinematographer over for lunch. ULABY: And part of it, she says, is also more complicated. MORRISON: Now the trick for me is, you know, I don't want to win for the wrong reason. Like, I don't want to win because I'm female. ULABY: Morrison even says she does not want to win at all. MORRISON: I'm kind of rooting for Deakins myself. ULABY: Roger Deakins was cinematographer for the new "Blade Runner" movie. He's been nominated 14 times and never won. 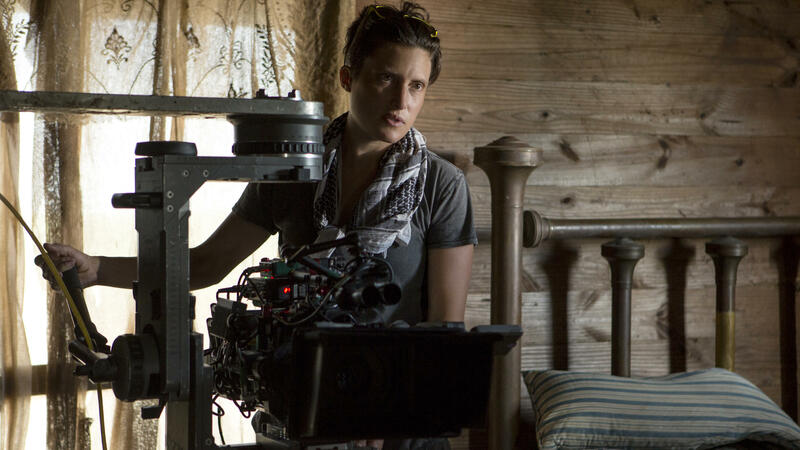 Like Roger Deakins, Rachel Morrison expects to be recognized for the quality of her work, and she expects to be nominated again. Neda Ulaby, NPR News. (SOUNDBITE OF MFSB'S "FAMILY AFFAIR") Transcript provided by NPR, Copyright NPR.